Medium Iron-on Labels. 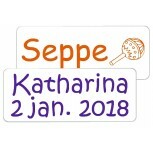 1-2 Lines text of your choice. White, Uni Color or Trendy partly colored. 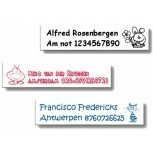 30 or 50 Pcs of soft polyester/cotton almost indestructible iron-on labels. Can be removed again (i.e. when textile changes from ownership). 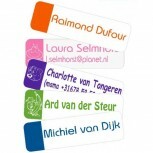 30 pcs very handy iron-on name labels: permanent, durable and soft flex material. 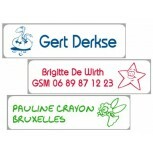 30 super original iron-on labels durable and soft flex material. 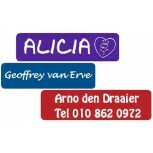 30 easily applicable iron-on labels: durable and soft flex material.